The Tamil National Alliance should make the TPPs issue a top priority in its dealings with the southern leaders, the activists said. If the TNA failed to act, the activist group would launch protests against all those who are failing to work, they said. The TNA should not extend its support to SL State's budget without securing a favourable answer to the TPPs, they said. ITAK Leader Mavai Senathirajah met the TPPs earlier on Saturday morning. He was also urging the TPPs to conclude the hunger-strike and promised action. 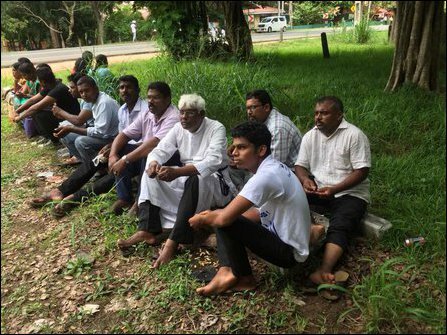 Opposition Leader R. Sampanthan had taken up the matter with SL President Maithiripala Sirisena, who has given just another date, 17 October, to look into the issue. Mr Maithiripala uses to propose a date promising to look into the TPPs issue. Then, he postpones it. He has done so at least three times within the past four weeks, the TPPs said. 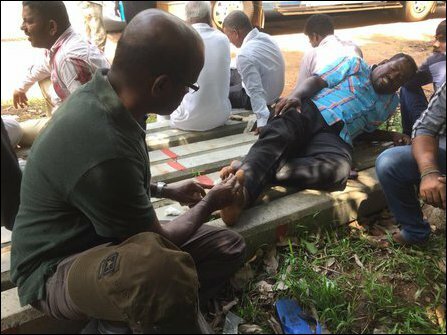 The protesting groups have also failed to address the external powers, who are the real culprits sustaining the paradigm of inaction in the island, political observers in Jaffna opined.